There are a few details that move toast with honey and butter from really yummy to sublime. Toast with butter and honey is pure ambrosia and stands on its own next to even the most elaborate of breakfast offerings. The first is the bread. The better the bread, the better the toast. Look for a well-made crusty loaf with a slight tang and lots of little holes where the honey and butter can pool up. The crunchy crust is as delicious as the soft inside. The toast should turn a light golden brown and occasionally a little charred on the edges. Slice the bread thick. The next is the butter, which should be fresh and delicious. Consider something organic, grass-fed, and in the higher butterfat/low water European-style. Use salted or unsalted to your preference. Many prefer to soften the butter beforehand or make honey butter in preparation. The honey, of course, wants to be the star and steal the show from the bread and butter. 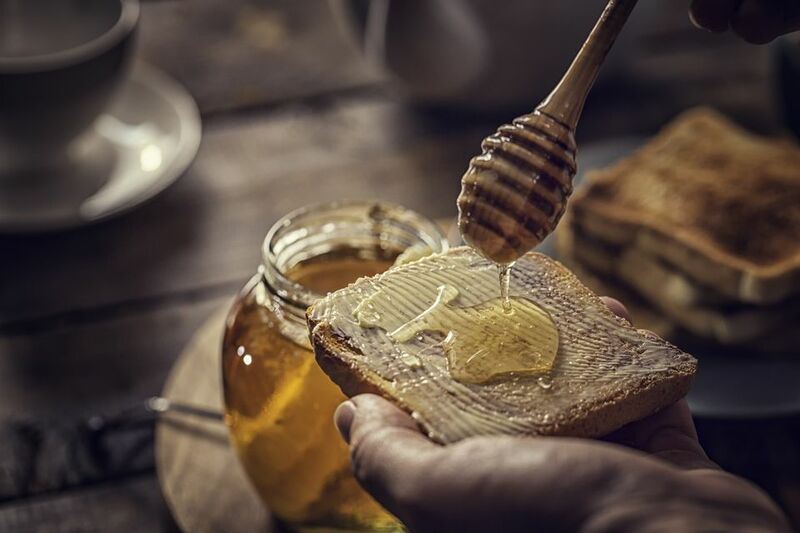 But toast with butter and honey is all about the marriage of flavors and textures, so consider a nice light golden honey or perhaps a honey that has a touch of bitterness to match its strength and urgency. Though using an oven is recommended, you can certainly put the bread in the toaster. Try honey butter toast with vanilla ice cream, as in this recipe, cinnamon, a pinch of salt, matcha or more. Place bread, crust edge down, on a cutting board. Cut the inner bread along the crust and cut it into cubes. Spread butter on top of the bread. Put it in the oven and bake for about 10 minutes, or until golden brown. Serve it on a plate with honey and ice cream on top.